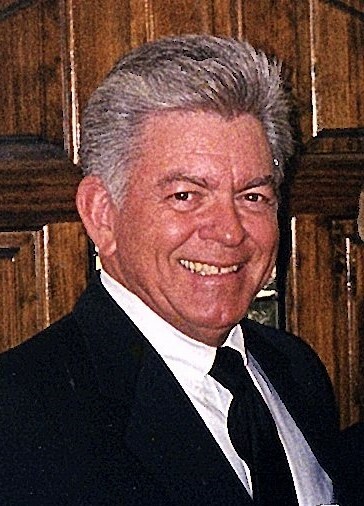 Leonard Richard Brown departed this life to be with his Lord on April 1. Richard accepted Christ at a young age. Born March 1939 to Leonard and Joyce Brown in the Countyline community of Stewart County, Richard lived at Countyline for the first years of his life then moving to Bridgeboro and eventually Albany. He was a former member of the Thomas Memorial Baptist Church in Albany. He graduated Albany High School in 1957. Richard served 2 years in the Army Reserves during the Berlin crisis. Upon returning to Albany he worked as a mechanic for many years and eventually became part owner of City Gin & Mill Co. In 1981 he returned to Countyline where he started Brown’s Well Repair Service until retiring in 2017. Richard was a gifted in many ways and excelled at craftsmanship, construction and mechanics. In past years, Richard enjoyed participating in the Albany Artesian Car Club with his special friend Louise Milliron, whom he adored. Richard was blessed to have Karen Nuckolls as his caregiver. Richard is survived by his children, Richard M. Brown (Beverly), Karen Henderson (Eddy), and Caroline Owens, and grandchildren, Rachel Brown, David Brown, Jonathan Brown, Kristen and Robbie Owens. Richard is survived by his loving sisters, Merle Murray, Margret Wilkinson, Judy Rotterman and Joy Brown along with many beloved cousins, nieces and nephews. Funeral services will be conducted at 2:00 PM on Saturday, April 6 in the County Line Baptist Church on County Line Road Lumpkin, GA with Rev. Joe Ferguson officiating. Interment will follow in the church cemetery. The family will receive friends from 1:00 PM until funeral time on Saturday in the church. In lieu of flowers, please make contributions to the County Line Baptist Church in care of Mrs. Carol Ann Morrison at 1715 Lynch Rd. Lumpkin, GA 31815.